I'm happy to announce the launch of Artifakt Studios, which will now host all of my freelance graphic design and commission jobs for all clients. My personal artwork will still be featured under my own name, but the website and other social media presences will share the Artifakt Studios moniker. This rebranding has been long overdue, and since I engage in a wide variety of creative pursuits, I need a brand to properly represent my diverse skill set under one umbrella. 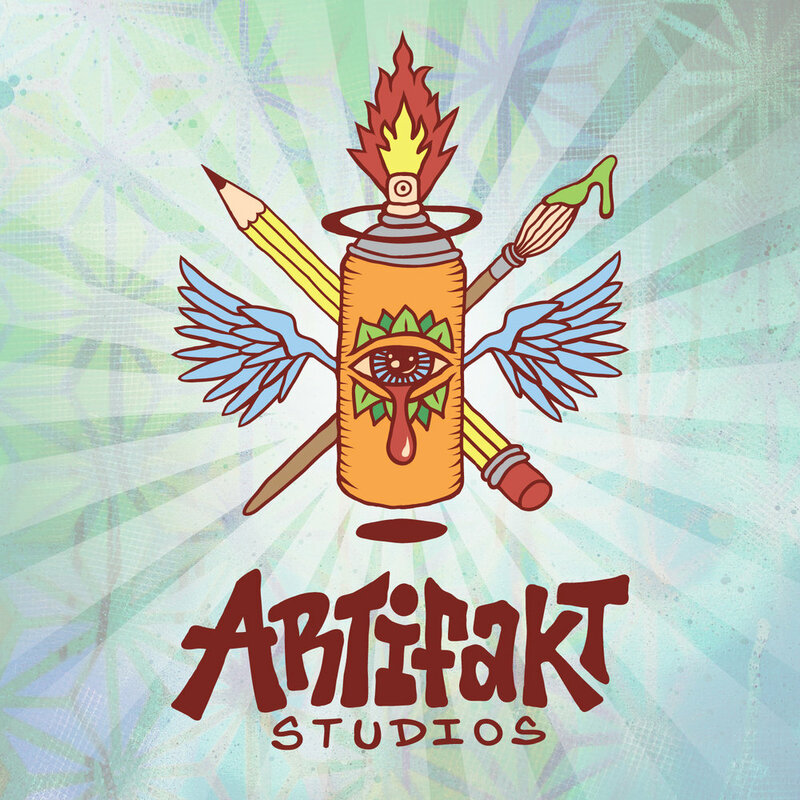 Artifakt Studios is a full service creative agency offering custom artwork, outdoor/indoor murals, logos/branding, product design, gallery curation, event deco & more. Over the next few months, we hope to expand into custom framing, laser cutting, vinyl graphics, sign design & other installation projects. We also plan to launch a series of Open Studios sessions, where friends and artists can visit and share creative projects in my personal studio space. Paint workshops are also on the horizon, offering instructional assistance for acrylics and brush work on canvas. Artifakt Studios will host a slew of new media content, including live painting on Facebook and Instagram, more video and photo content, bigger and better online stores, consistent blogging and maybe even a podcast in the future. A whole bunch of new merchandise will be dropping over the next few months, as well as a few new original paintings, and maybe a few collaborations with fellow artists, so keep your eyes peeled for the freshness! If you have a project in mind, and want to talk about making the vision a reality, drop us a message! Contact Us to get the ball rolling, and subscribe below for updates. Induldge your eyeballs with monthly art updates. We promise only to send you really dope stuff.